Serious Business is not a funny album. More accurately, playing this album will not induce the brand of gut-busting, teary-eyed revelry that an episode of Chappelle�s Show or a YouTube clip of Anna Karkowska�s vibrato will. It is funny like the idea of a Rothko turning the stomachs of well-heeled gluttons at the Four Seasons is funny, or how anything Andy Kaufman ever suited up for is funny. It might be a little uncomfortable, rings clear in its truth, and sometimes reveals itself gradually. Serious Business comprises four different perspectives on humor through the lens of classical music � a flavor of music that could use a little more funny, in general. You, dear listener, won�t be popping in this CD in the way you would a Louis C.K. special. This is an album about what makes something funny, and more importantly, a collection of music we think is brilliant, and clever, and unequivocally worth entering the cave for. Since its inception, the Spektral Quartet has sought out the discourse between the great works of the traditional canon and those written this decade, this year, or this week. Creating connections across centuries, the group further invites its listeners in with charismatic deliveries, interactive concert formats, an up-close atmosphere, and bold, inquisitive programming. The ensemble is regarded for its forward-thinking endeavors including the Mobile Miniatures project, which rallied more than forty composers from across the US including David Lang, Augusta Read Thomas, Nico Muhly and Shulamit Ran to write ringtone-length pieces for download to mobile devices. In addition to finding vehicles for bringing classical music into everyday life, the Spektral Quartet prioritizes immersion and inclusivity and delivers the majority of its Chicago concerts in vibrant, unconventional venues. 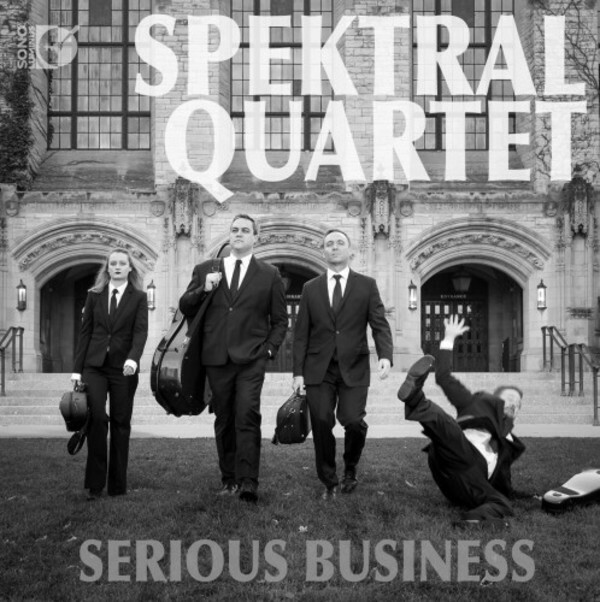 The Spektral Quartet proudly serves as ensemble-in-residence at the University of Chicago's Department of Music.